The State College Spikes are proud to announce that fans will have the chance to show their very own puppy love this season like never before with the club's Bark in the Park Jerseys. The jerseys, which will be worn by the Spikes for each of the four Bark in the Park Nights at Medlar Field at Lubrano Park this season, will consist of a collage of dog photos submitted by fans via e-mail and through the Spikes' social media channels. The Spikes will begin the Bark in the Park schedule on Thursday, June 20, with the night's events presented by Metzger Animal Hospital and NEWSRADIO 1390 WRSC. Additional Bark in the Park games are slated for Sunday, July 7 and Friday, August 16 before the dog-friendly events wrap up with the regular season home finale on Sunday, September 1. The Bark in the Park Jerseys will also offer multiple ways to help support six local animal rescue organizations - PAWS of Centre County, Pets Come First, Rescue Our Furry Friends (R.O.F.F. ), Hope's Dream Rescue, Beagle 911 and Happy Valley Animals in Need. 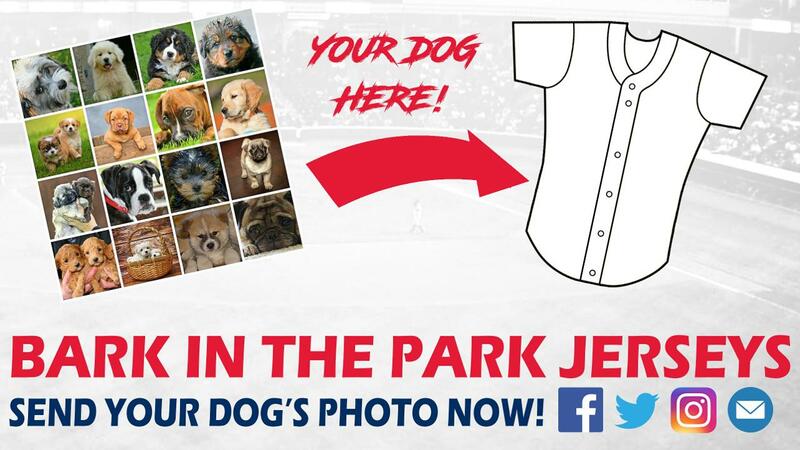 Fans will be able to improve the chances of their dog's inclusion on this first-of-its-kind jersey by purchasing a Bark in the Park ticket package that includes an Outfield Bleacher seat for a Bark in the Park game of your choice along with a $10 donation to the five local animal rescue organizations. The dogs of the first 200 fans purchasing the package will gain first preference to be included on the jersey. Dog photo submissions from all fans will be accepted through Friday, April 26. In addition, the jerseys themselves will be up for bids through the Spikes' partnership with LiveSource. Fans can bid on the jerseys through the LiveSource mobile app at designated times during the summer, with the auctions scheduled to conclude at the last Bark in the Park Night of the year on Sunday, September 1. Winners of the jerseys who are present at the game will also be able to collect their jerseys from the players on the field at the contest's conclusion, continuing the Spikes' Jersey-off-the-Back auction tradition. "Bark in the Park has never been a ruff sell to our fans, but doggone it, I think we're barking up the right tree with these fan-interactive jerseys," said Spikes General Manager Scott Walker. "We're so glad to be able to partner with the Spikes on another great slate of Bark in the Park Nights that will feature these one-of-a-kind jerseys," said Dr. Fred Metzger of Metzger Animal Hospital. "This year's Bark in the Park Jerseys will also maximize the impact of these events off the field by assisting five great animal rescue organizations in our area." 2) Send the photo as a direct message or post to State College Spikes on Facebook, @SCSpikes on Twitter, or @state_college_spikes on Instagram. • Photos may not include any logos. • Fans are encouraged to send photos in a square, or 1:1 ratio, format. • By submitting photos, fans agree to grant the State College Spikes and Metzger Animal Hospital full rights and permission to use the photos in any and all marketing of the jerseys, including, but not limited to, social media, in-park displays, and advertisements. • Additional terms and conditions may apply. 3) Online through GroupMatics at https://groupmatics.events/event/Barkpark19. Additional fees may apply. • Checks should be made payable to Spikes Baseball LP. Fans can purchase ticket packages for all 38 home dates on the Spikes' 2019 schedule. The Spikes' home slate begins with Opening Night at Medlar Field at Lubrano Park against the rival Williamsport Crosscutters (Philadelphia Phillies) on Saturday, June 15, and runs through September 1. Season seat memberships, Flex Books, Value Plans and an array of group and hospitality options for the 2019 season are currently on sale by calling the Spikes at (814) 272-1711. Additional information on all club ticketing options can be viewed here.